It’s December and Christmas vacation is just around the corner. Chances are you are going to stay at the hotel after a long day at the beach or from whatever activities you will be indulging. Most vacations have the “no work” rule or checking on emails and other related stuff. This rule has exceptions in case of emergencies. Besides work, you may want to stream online content or post something on social media and other related activities that use the internet. To save on data charges, you are likely to use free Wi-Fi hotspots especially the ones at the hotel. Hotel Wi-Fi can be fast, and this will attract every person on the hotel to connect to it. You never know who you are sharing your internet connection with, maybe a good person or someone with sinister motives. The latter is why you need to use hotel Wi-Fi with precautionary measures. Let’s look at a few dangers you might encounter when using hotel Wi-Fi. Malicious attackers may spoof a popular website or rather the hotel’s website where logins are required. Spoofed sites are used to harvest password and usernames of unsuspecting users. By gaining access to one account, a malicious attacker can then proceed to hacking other accounts, even your online banking account. These are attacks that involve intercepting a communication before it reaches its destination. This communication can be analyzed to reveal confidential details such as passwords and even altered to do the malicious actor’s bidding. After malicious actors have acquired your details, they can further impersonate you and do more damage; they can even blackmail you. Malware is easily propagated through public Wi-Fi and can do severe damage to users’ device such as deleting files or encrypting them for ransom etc. Besides the dangers, hotel Wi-Fi may be restricted, and hence you may not have access to various online content, and this is another reason why you will need a VPN. With a VPN such as IPBurger, you can access hotel Wi-Fi without worries. IPBurger VPN will ensure you’re not vulnerable to hotel Wi-Fi threats. 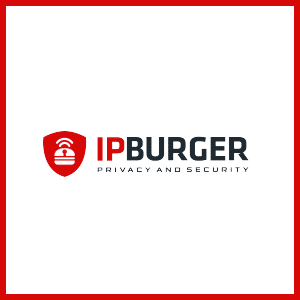 IPBurger VPN uses top-notch encryptions that will ensure your internet traffic is secure when using hotel Wi-Fi. This encryption renders your readable internet traffic unreadable, even if its intercepted by cybercriminals it won’t help them. By doing this, your connection will be private, and hence you will be invincible when using the hotel Wi-Fi. Depending on the country where you will be spending your vacation, it might be no surprise that some internet services and content are blocked. 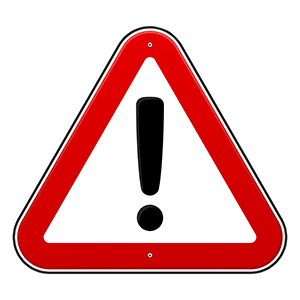 This is usually due to geo-restrictions used by some services, or the hotel is against some services. This shouldn’t worry you a tad as IPBurger also specializes in unblocking content safely over the internet. All you need to do is launch IPBurger VPN and select an appropriate server. You will be assigned a new IP address of another location/country where the content might not be blocked.